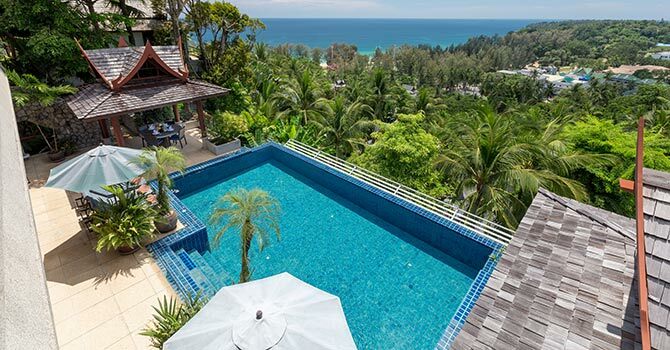 Villa Arawan is a luxury seaview villa with five beautifully appointed one-bedroom suites just steps from one of the most beautiful beaches in Phuket. 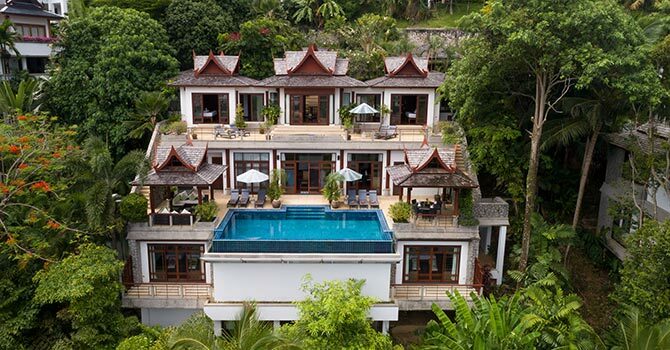 Featuring an expansive infinity pool, private hot tub and spacious pool deck, this charming and elegant Villa is an ideal spot to enjoy the ultimate vacation with friends or family. The villa's bedrooms have a variety of layouts and all of them include spacious ensuite bathrooms. Many of these feature jacuzzi or soaking tubs for evening relaxation after a full day on the island. 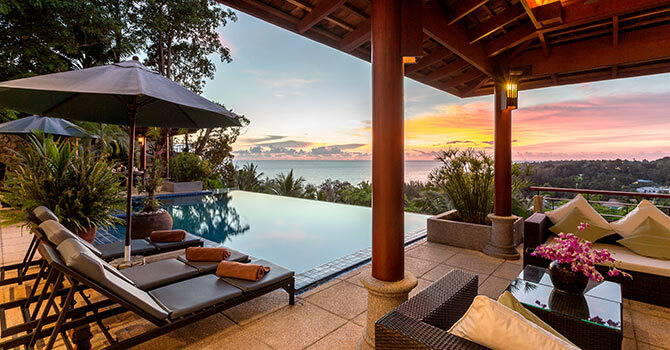 Featuring a fully outfitted western style kitchen and plentiful indoor and outdoor dining, living and lounging areas, the property is a unique oasis in the midst of tropical hills overlooking the sea below and beyond. A serene walk down the tropical hillside leads to a quiet white sand beach with gentle waves lapping at your feet. The excitement of the top dining, shopping and adventure activities on the island are only a short drive away. 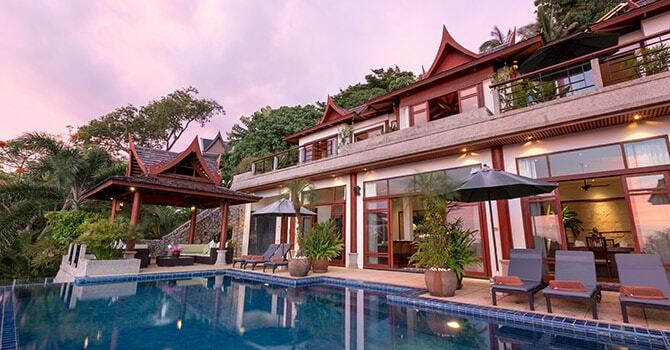 The villa is just steps away from the stunning Surin Beach, one of Phuket’s most desirable beaches.  It is also within quick reach of many shops, cafes and restaurants. 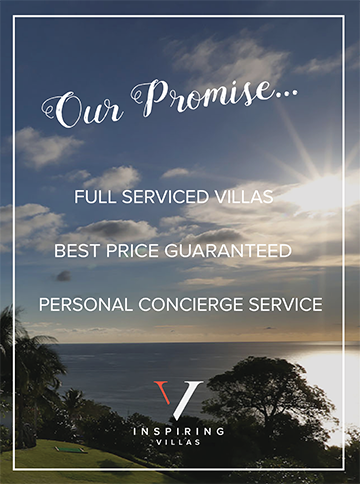 Each of the villa’s five enticing suites are bright and airy, opening up into the immaculate tropically inspired garden The rooms are each well-appointed, with televisions and private living/work spaces. Four of the rooms feature deluxe king-sized beds, while the fifth has two twin singles. Each has its own ensuite for privacy and comfort. "We will Definitely Be Back"
Arrived in Thailand with an open mind and no expectations , and are leaving totally refreshed, amazed, and full of happy memories. 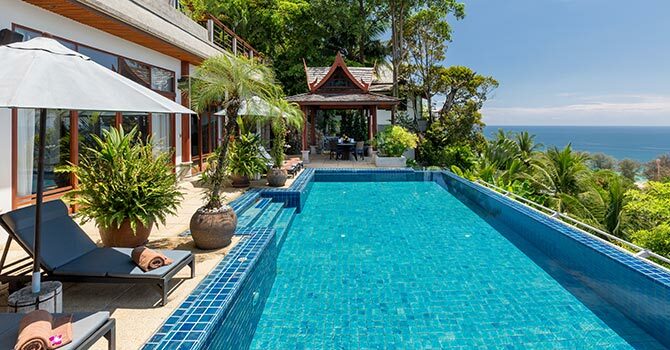 The villa is total paradise- heaven on earth. Jaol and Joy were fantastic and their care, hospitality, and sheer can-do attitude made for a truly fabulous week. I'm left wishing I could take Jaol back to NZ with me! Meal time will never be the same. We'll be back!